The ritual and customs in Indian weddings makes them very interesting and fun. In India, every community or state has their own set of traditions and rituals that hold a lot of importance. There are certain beliefs and reasons for following these traditions and rituals. Each tradition has its own significance. However, there are certain customs that look funny and if you think about them, they are also a little vague. 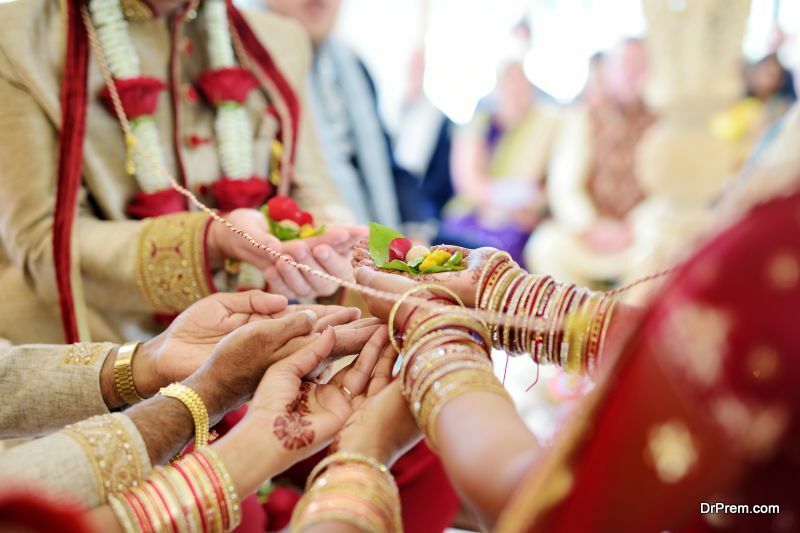 In this article, you will get to know a few Funny Wedding Traditions in India, which take place even today. Although some of these traditions may sound funny, they do help to brighten the mood of everyone who is present there. In the community of the Kannada Brahman, there is a custom by the name of Kashi Yatra. As per the custom, during the wedding ceremony, the groom gets up and tells the father in law that he cannot marry his daughter as he is going on the Kashi yatra. After saying this, he walks out of the mandap or venue. The father of the bride runs behind him and requests him not to leave his daughter. After everything is settled and the groom agrees to marry the bride, the father of the bride washes the groom’s feet while her brother holds the umbrella over his head. Although this tradition is not followed much today, it is still practiced in traditional weddings. When the groom and his people arrive, the bride’s mother stands to welcome them. During the welcoming of the groom, the mother of the bride is supposed to twist the nose of the groom while he tries to escape it. 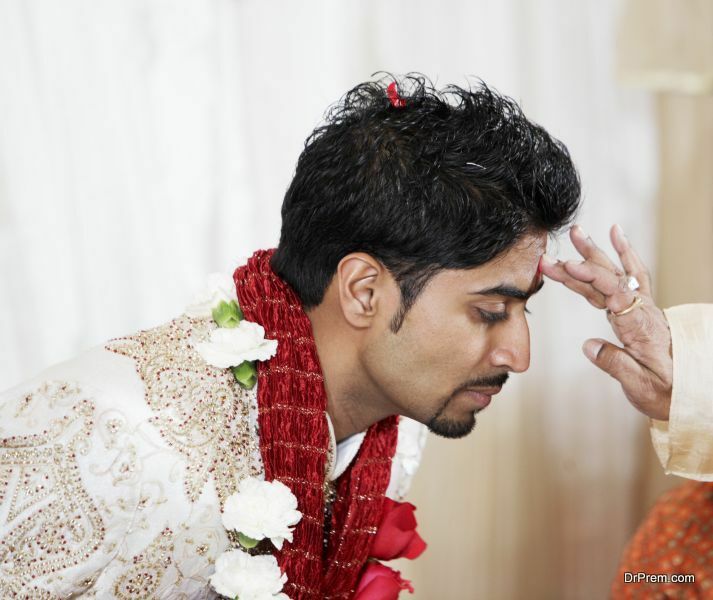 As per the belief, it supposedly drives away the evil eyesight that falls on the groom. This also helps to lighten the mood of the environment as everybody is under a lot of stress due to the running around that happens during a wedding. In Rajesthan they have a tradition known as Toran Bandhan. As per this tradition, in the olden days, the bride had to attack the groom using a sword. If the bride proved to be better than the groom, then the bride’s family would reject the groom. However, today there is a slight modification in this tradition; the bride takes the sword and pokes it on the groom. They do not actually go into a sword fight. Bengali’s have two strange customs. In the first one, the bride has to sit on a wooden flat stool, and her brothers or the boys of her side like her cousins etc carry her to the wedding venue. This can be embarrassing for the bride as the people who carry her sweat a lot. 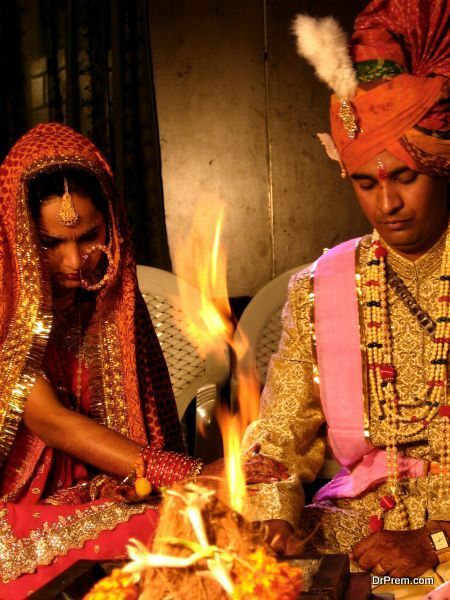 The second funny tradition that Bengali’s have is Kaalratri, in normal Indian customs, the bride and groom stay together on the first night after they are married, however in a Bengali tradition, they have to stay away from each other until the Pandit/Priest chooses a right time for them to unite as husband and wife. 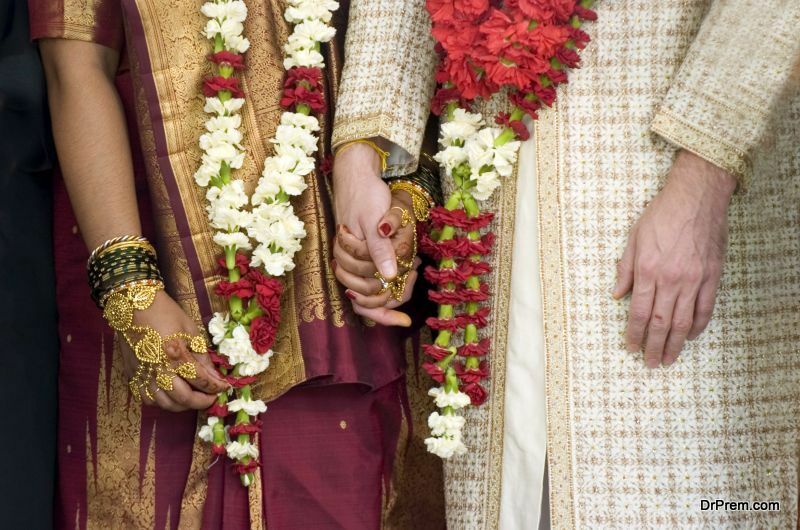 Funny Indian wedding traditions have been around for a very long time. Due to the vastness of culture present in India, each community or cast has their own set of traditions or customs that have to be followed. While some of them are no longer in existence, there are some which are still practiced.